Choosing the right shade to paint your kitchen may be difficult, but choosing your favorite shade of toast shouldn’t be. 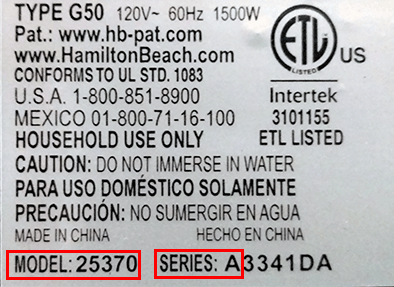 To eliminate the guesswork, we’ve created the Hamilton Beach® 2 Slice Digital Toaster. This digital toaster comes with nine shade choices so you can choose the first setting for light toast, the ninth setting for dark toast, or any setting you desire in between. Toast is just the beginning. Extra wide slots make this ideal for bagels or slices of artisan bread. A special bagel button allows to you toast only one side of a cut bagel, English muffin or bun if you prefer. Frozen waffles or pancakes aren’t a problem thanks to a defrost button which allows additional time for the food to thaw and heat through. 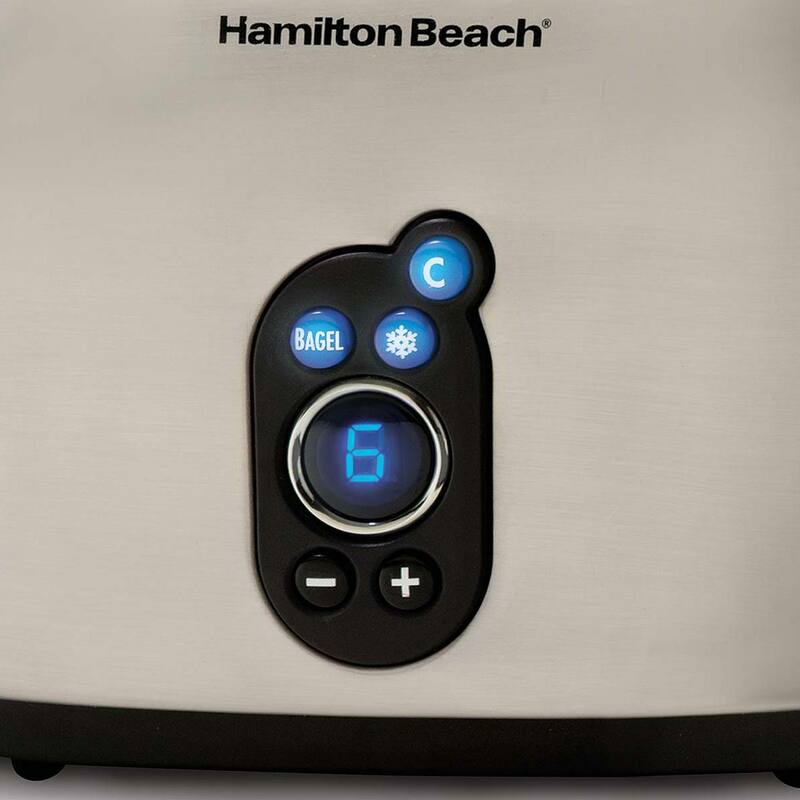 The Hamilton Beach® 2 Slice Digital Toaster is equipped with a toast boost feature, giving breads a high lift to make it easier to reach small slices. And if food gets jammed, an automatic shutoff feature will turn the toaster off at the end of its cycle. This attractive toaster is made with a smudgeproof brushed silver finish that won’t show fingerprints. So go ahead and keep it on the counter. Stylish and versatile …now that’s Good Thinking®. Whether you’re enjoying a bagel, English muffin or plain toast, the Hamilton Beach® 2 Slice Digital Toaster will help prepare it the way you like best. The digital display is easy to read and offers nine different toast shade settings. For artisan breads, toast at a high setting for a crunchy outside or choose one side on low to warm your favorite bagel. If you’ve ever toasted a frozen waffle to a golden brown on the outside only to find the inside still cold, you will appreciate the built-in defrost setting on the Hamilton Beach® 2 Slice Digital Toaster. This feature allows additional time for the food to thaw and heat through for more even warming and toasting. Hamilton Beach® Toasters offer a stylish take on a practical necessity. A kitchen essential, Hamilton Beach® Toasters are attractively designed, compact and reliable. 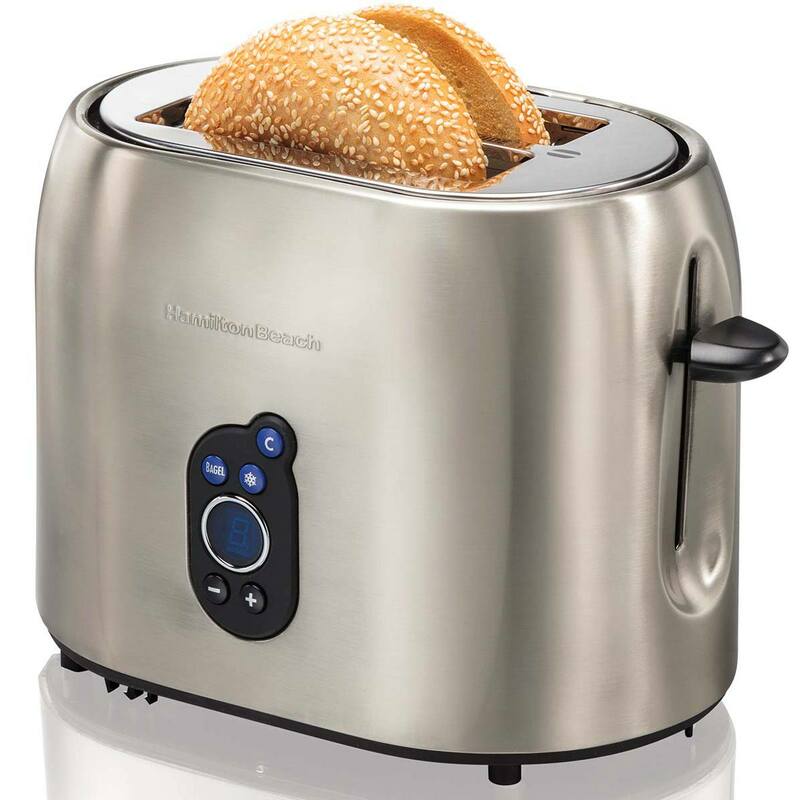 In addition, some toasters offer a defrost setting that defrosts and toasts in a single step or a bagel setting that toasts the cut side and warms the round side. 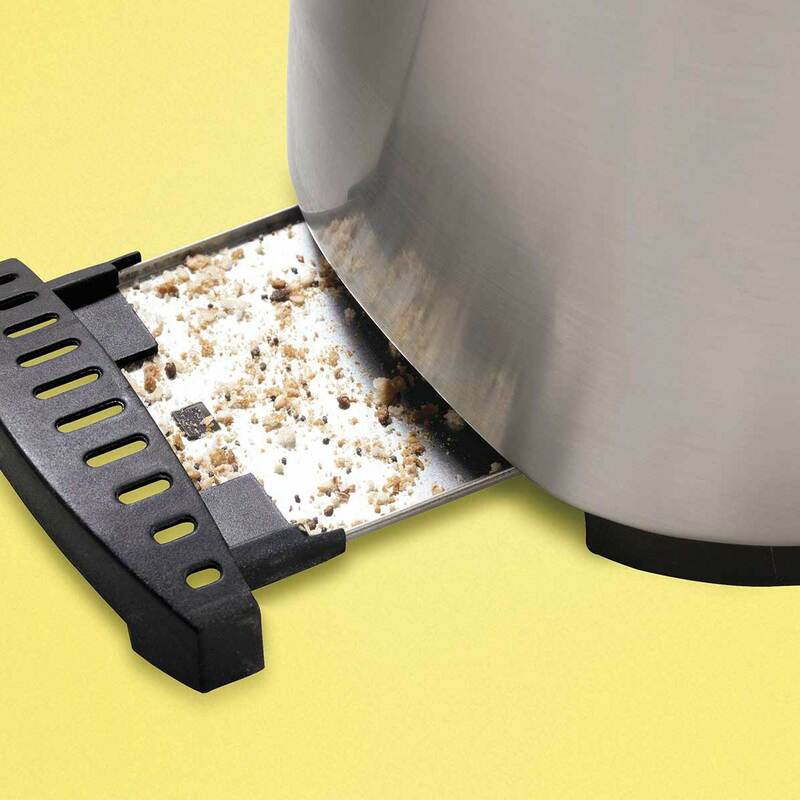 Hamilton Beach® Toasters are built to last and engineered to provide uniform, consistent results with every use. Plus, several toasters feature smart additions like SureGuard™ shock-resistant heating elements to offer you and your family added peace of mind.